What's special about our grub? Well, for one thing: the ingredients are high quality, tasty, and kind of addicting. We have everything from delicious pizza to seafood. What? Yeah, we'll also deliver for a dollar on the island. Our most popular dishes include the margarita and pepperoni pizzas, baked penne, chicken parmesan, and a tasty seafood combo. Families are always welcome and encouraged. Seasonal menu. 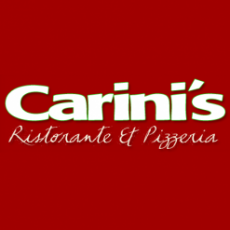 Carini's Pizza & Italian Restaurant makes the pizza that we love to eat here in Wildwood Crest, NJ. Good smells are a part of walking in our doors and it's all about the good food we serve. Let's eat!